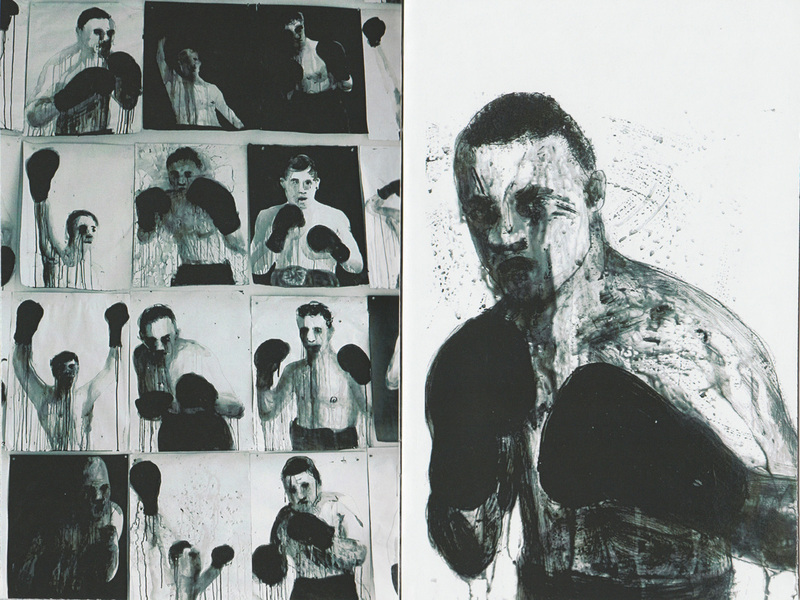 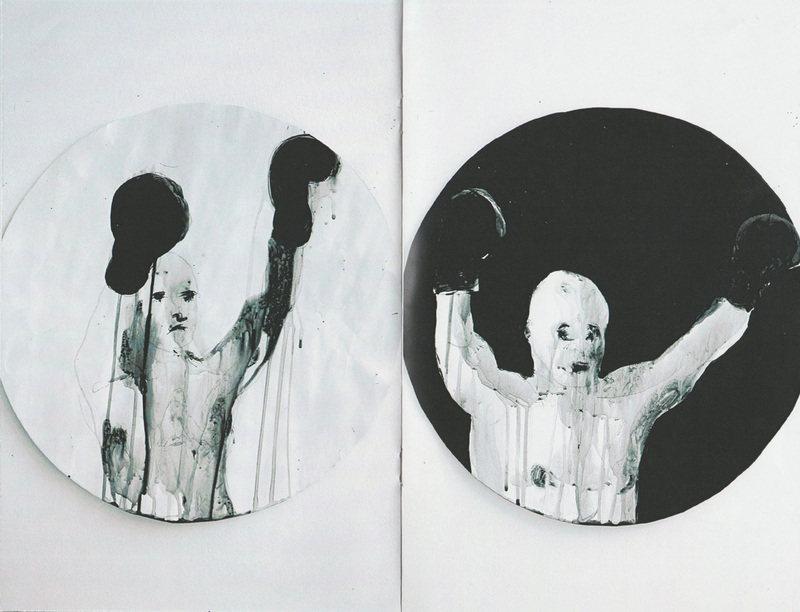 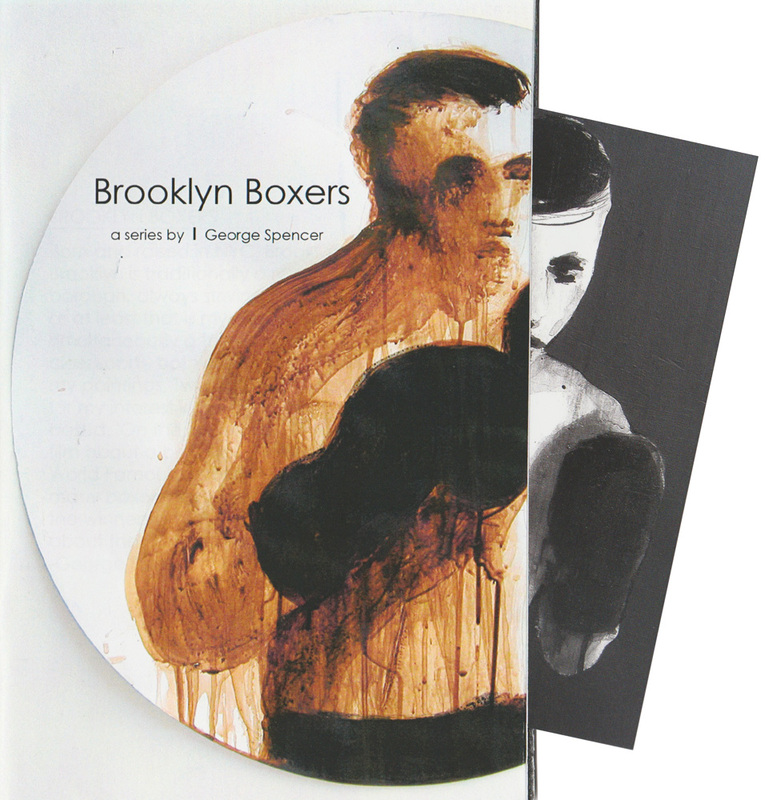 "Brooklyn Boxers is a 36 page zine compiled of over 40 selected images from George Spencer’s 1000 plus series of boxers dating back to 1989. 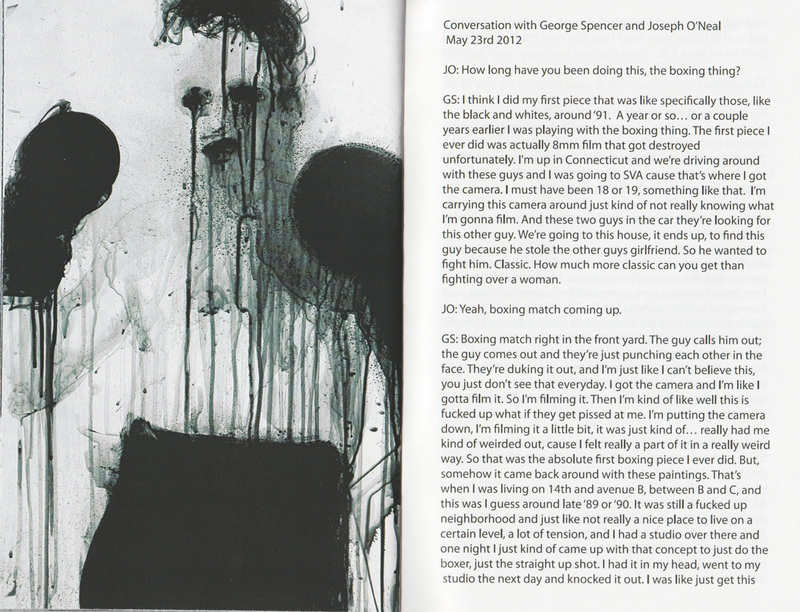 Spencer’s direct blue-collar approach to painting lends well to the traditional zine format. 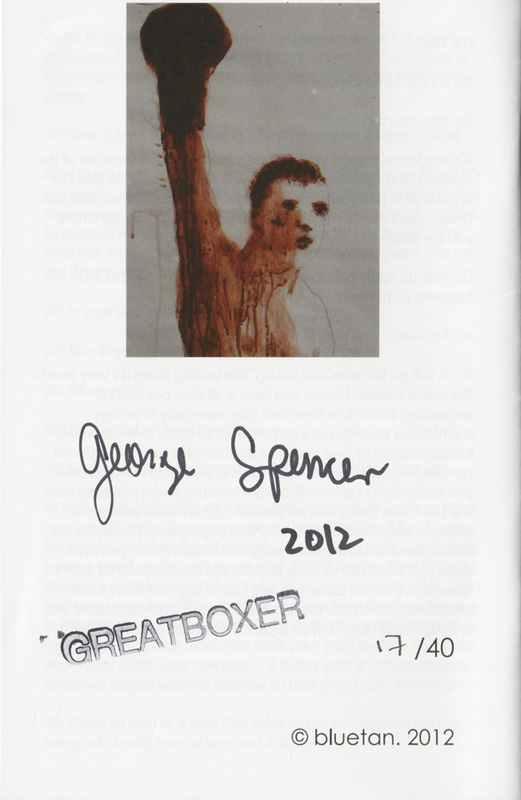 Brooklyn Boxers also offers an insightful seven page conversation with George Spencer and Joseph O’Neal.